As the new year kicks in, there are all sorts of tips and habits to break in order to help improve your personal and professional success. For those in healthcare marketing, here are eight bad habits that need to be broken to help fix your strategies and outcomes. Marketing in many healthcare organizations still lands on the promotional side of the equation. Successful marketers are those who understand the growth goals of their organization and develop strategies, beyond campaigns and clicks, to generate revenue and support new customer acquisition. You know you’re too focused on the promotional side of things when your marketing “dashboard” consists of primarily digital terms that leave the C-Suite in the dust. When you include business metrics, too, your dashboard will truly provide a snapshot of your organization’s marketing success in terms of share-of-wallet, customer acquisition, profit margin, and conversion rates. These will be sure to get the attention of your CEO and put your department and initiatives in a new light. Most market research studies ask a lot of questions about the brand, not about the customer. Other than demographics at the end, very few ask consumers, for example, about their interests and passions, what’s important to them, and the issues they’re most interested in. Look at your customer research from their POV and you’ll gain great insights on how to make your marketing strategies much more relevant and engaging. It’s head scratching and nail biting to develop a brand position that your organization can own, fits like a glove, and is different and relevant to the marketplace. But, oh is it worthwhile. Without this, your brand defaults to a “me too” position and means everything to everybody. Absolutely the opposite of what a brand position should be about. We talk about “Heartbeat Branding” as the intersection between culture, product benefits, and customer needs. It takes great insights about your customer and a continuous nature of learning, observation, and discovery about your marketplace to develop a heartbeat for your brand. The opposite side of this spectrum is a chest beat brand, one that only talks about itself and reels off a list of attributes and features. I’m sure you can guess the approach that is more interesting and engaging. With over 5,000 messages a day vying for the average person’s attention, studies show an approximate 8-second time span to make your point. This is why more communications are going visual; to capture attention, gain engagement, motive toward an action. There is always an important place for keywords and copy, but keep them short. Social media is no doubt powerful, but it doesn’t need to be “too” social. Brand strategies should drive your posts and, as with every other media, shouldn’t be “all things to all people.” Overly social posts don’t benefit from optimization of keywords and tend not to stay on brand, rather, they take your message in an entirely different direction. You can drive engagement and interaction without sacrificing the integrity of your posts and brand platform. Internal communications has evolved over the years from a preview of an ad campaign to an engagement strategy with real ROI. Hospitals experiencing “leakage” often find that employees are unaware of the scope of services provided by their health system. Physician practices find that making in-system referrals can be tedious and time-consuming, therefore defaulting to old habits. As healthcare companies grow through merger and acquisition, it’s more imperative than ever to not only educate, but facilitate communications from within. We’re only one month in for 2019, and there’s still lots of time and opportunity to strengthen your healthcare branding and marketing strategies. 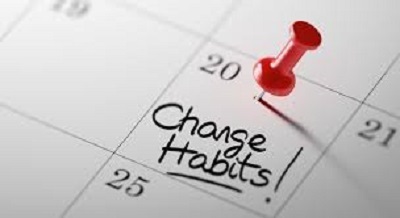 Time flies, so take a moment to reflect on these suggestions and avoid defaulting to old habits that weaken your position, both personally and professionally.